Courtesy Dr. Tawni Silver, WCVm, U of Sask. Most horse people who have been in the business long enough have similar stories – there’s the horse who vetted clean who’s been nothing but lame for his new owner, and the horse who had a questionable pre-purchase exam but ended up being a solid packer for years. It prompts us to question how much horse owners really know about the workings of a pre-purchase exam, as well as the amount of weight we should give it in our decision to buy our next horse. While there is no defined system that each veterinarian follows to perform a pre-purchase exam, there are generally accepted rules of practice. The veterinarian should ask the current owner to fill out a health history form about the horse that outlines previous problems, therapies, vaccinations and dewormings. The next step – and the most important, in Dr. Bell’s opinion – is the physical exam. 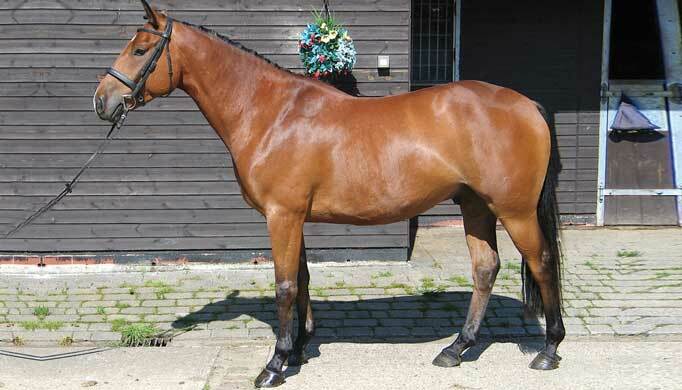 This begins with an overview of the horse to assess its conformation, symmetry and any blemishes. Afterwards comes an examination of all the major systems: eyes, heart, lungs, mouth, body, legs, and feet. This is followed by an assessment of the horse’s gait on a hard surface at a walk and jog, with and without a flexion test. Most veterinarians also require the horse to be lunged at all three gaits in both directions on safe footing. 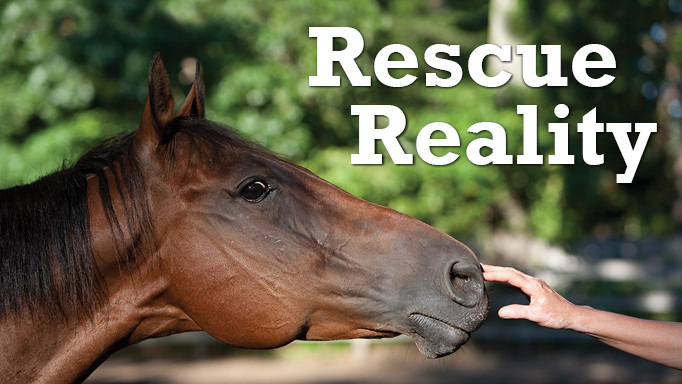 While some veterinarians might not watch the horse go under saddle, Dr. Bell believes it is essential to get an overall picture of the animal. “I’d like to see horses ridden more (in a pre-purchase exam). I think that adds essential information,” she says. Beyond this basic exam, the options to the buyer are endless. Veterinarians can perform ultrasonography to examine the soft tissue structures of the horse (for instance, to check for potential flexor tendon and suspensory ligament issues), endoscopy of the upper respiratory tract (to get a better picture of the respiratory system) and blood work to screen for drugs or infectious diseases. Most often, though, the next step is to take radiographs to provide additional information about the horse’s musculoskeletal system. Radiographs have become standard for exams of horses intended for competition. Veterinarians evaluate these images for signs of arthritis, OCD lesions and changes to the navicular bone, among other things. In one of the few peer-reviewed studies of pre-purchase exams in North America — a study from University of California Davis titled Retrospective evaluation of equine prepurchase examinations performed 1991-2000, published in the Equine Veterinary Journal in 2003 – 61.3% of the 510 horses studied had at least one radiographic study performed before purchase, compared to only 6.7% of horses being subjected to ultrasonography of the soft tissues. 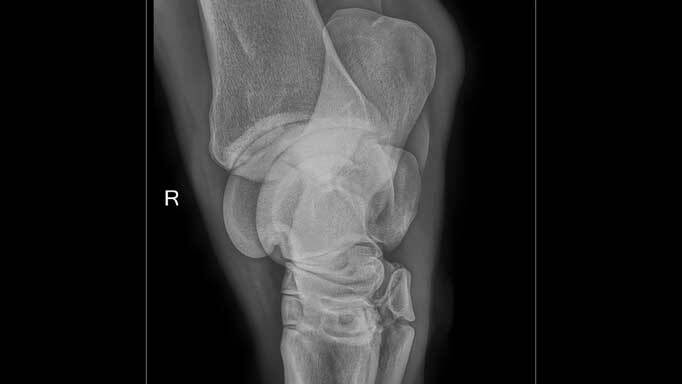 In the aforementioned University of California Davis study, the most commonly requested radiographs were of the bones in the front feet (86.8%) and the hocks (68.1%). Following that, the front and hind fetlocks were the next most examined areas, with 17% and 11.1% of the horses being radiographed, respectively. In the last few years, however, Dr. Bell has noticed an increase in the request for radiographs of front pasterns, hind fetlocks, and stifles. Radiography of the stifles on the farm has been made easier with the use of digital radiography, according to Dr. Bell. “Images are seen immediately and can be repeated to assure that they are of good diagnostic quality,” she says. While the cost of radiographs can vary, it is an added expense to a pre-purchase exam and the cost of the horse can play a factor as to how much buyers are willing to spend. In the UC Davis study, more than twice the number of radiographs were performed on horses priced over $5,000 compared to horses priced under $5,000. It was noted in a Horse Publications Group and Equine Canada survey conducted last year that 70% of respondents indicated they spent $1,000 or less on a pre-purchase exam, while 25% spent $1,000 to $2,000. This can lead to some confusion and frustration over the results of a pre-purchase exam. The recent HPG survey found that while 58.7% of respondents had a great deal of satisfaction with the process, almost 35% had only some or modest satisfaction and nearly 7% had little or no satisfaction. Dr. Best says that one potential source of seller dissatisfaction may stem from the fact that they are not privy to the discussions that the buyer and veterinarian may have about the sale horse. “The seller could be frustrated if they aren’t able to receive the report of the exam if the buyer has decided to walk away from the sale,” says Dr. Best. Veterinarians are bound by confidentiality and are therefore unable to disclose their findings to a seller unless authorized to do so by their client – in the case of pre-purchase exams, the buyer. In some cases the pre-purchase exam may even be used as an excuse by a buyer to back out of a sale for reasons unknown to the seller, who may never know the reasons why the sale fell through. 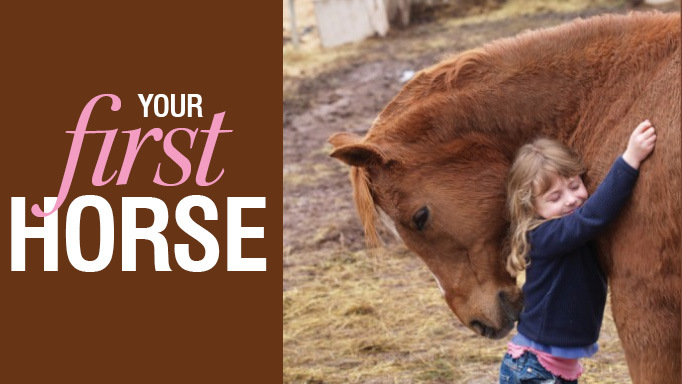 For sellers who would like to arm themselves with knowledge going into the sale of their horse, one option that Dr. Best suggests is having their veterinarian perform a “pre” pre-purchase exam. This provides the seller with knowledge of potential areas of concern in advance of the buyer’s veterinarian performing a pre-purchase exam. If radiographs are taken, the seller could even offer them to the buyer’s veterinarian for viewing prior to completing their own exam. “This way, the seller can identify any areas that may come up on a pre-purchase exam that might be flagged or commented on to the buyer and you will know what your horse’s status is before,” she says. Michael Boyd, chair of the Canadian Hanoverian Society and an owner and seller of sport horses in Toronto, ON, is one horse person who is dissatisfied with the way pre-purchase exams are conducted. After having some negative experiences himself and hearing of other sellers who’ve had negative experiences, he began to advocate for changes to the system – specifically, he would like to see a standardization of pre-purchase exams and have veterinarians take part in post-graduate certification in reading radiographs. In western Canada, there have been similar calls for changes to the way pre-purchase exams are performed on sport horses. Chris Gould, an Alberta-based breeder and president of the Canadian Warmblood Horse Breeders Association, says that the issues Boyd raises were the topic of a panel discussion with three veterinarians at the association’s AGM in March. “It was very interesting for us to be able to get a sense of how much emphasis is given to (reading radiographs) at the vet colleges,” says Gould. “That was an eye-opener for us, when we realized how much information veterinarians have to absorb during their education.” Gould says that he and other breeders have had experiences where different vets will give different evaluations of the same horse and the same radiographs, and this was one of the motivations for the panel discussion. And perhaps herein lies the problem. “Do I think radiographs are overemphasized in the pre-purchase exam? Yes,” says Dr. Bell. She notes that it is in young, unproven horses that radiographs seemed to be relied upon to try to predict future issues, while in horses older than six years who have a track record of competing without soundness issues, radiographs are less important. Some changes she would like to see to the current system include more willingness by veterinarians to request a second opinion on questionable radiographs from a qualified and recognized veterinary expert, such as a radiologist, based on the buyer’s wants and willingness to accept risk. “It would be ideal to ultimately have a list of veterinary radiologists qualified to assess radiographs of horses for particular occupations. From this list, a practitioner could select an appropriate person to provide a second opinion on radiographs as needed,” says Dr. Bell. Dr. Best adds that equine veterinarians would readily accept studies that look at correlations between soundness and radiographic changes over time, but there are many barriers to performing such studies. A study like this would require the research team to take radiographs and examine the soundness of multiple horses at several pre-selected time points throughout its life. Dr. Best also notes that one of the most challenging aspects of a study like this is the ability to follow a horse through its career, because horses often change hands and it can be quite difficult to track them in order to get the follow-ups needed. “There are a lot of things in this world that people wish could be researched, but often the problems in research come down to funding,” says Dr. Best. Boyd suggests adopting a standardized system for grading radiographs that is used in Germany for pre-purchase exams of horses sold at auction. However, both Dr. Best and Dr. Bell note that such a system is not adaptable for a North American market. According to Dr. Best, the German pre-purchase examinations are standardized because they have financial and legal implications for the parties involved; this is not the case in Canada or the US*. “One thing that has changed over the years is that people are now intending to keep their horses for life, so they want to be sure they have a horse they can enjoy for life,” says Dr. Bell. “Is that unrealistic? It may be in some circumstances,” she adds. What this does mean for pre-purchase exams is that buyers may be less accepting of problems on radiographs than they may have been in the past. It is entirely dependent on the buyer – Dr. Bell has also seen instances where buyers have accepted horses with large problems, knowing that their career may be cut short. “A buyer might say this horse can win in the short term and I’d like to win. The breeding could be excellent and that buyer might not be able to afford a horse like that without a problem, so they are happy to maintain that problem,” she says. Another thing that sellers must keep in mind is that veterinarians conduct pre-purchase exams in relation to the buyer – the buyer’s intended use for the horse, the buyer’s aversion to risk and the buyer’s financial situation all come into play. “Veterinarians never do pre-purchase exams in a bell jar,” says Dr. Best. While Gould and Boyd both hope that changes will be made to the current system, they are aware of the challenges. “At the end of the panel discussion we had a better appreciation of the difficulty in standardizing (readings on radiographs). You have differences between disciplines – higher stress areas for different sports, for example, and you have different breeds. So these things can’t be as standardized as we might like them to be,” Gould says. For now, Gould says that the best thing buyers can do is ask questions about their veterinarian’s experience in performing pre-purchase exams. “As horse owners, we should learn as much as we can about the background of the vet that we’re choosing to do pre-purchase exams,” he says. 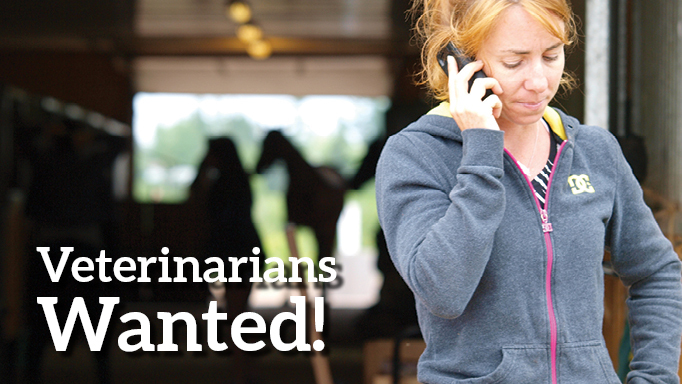 What can be done to ensure veterinary services to far-flung horse owners?